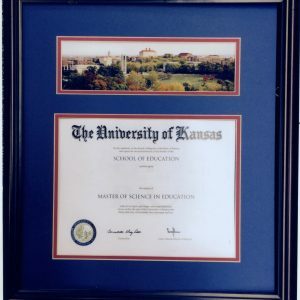 A diploma is much more than just “a piece of paper.” A college graduate’s diploma symbolizes years of hard work, perseverance, discipline and dedication, and it serves as proof that you’re an expert in the field of your choice. 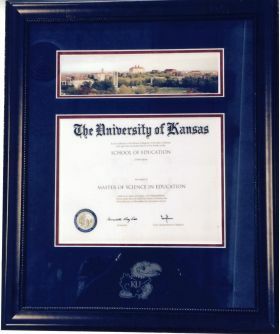 As such, a diploma should be treated carefully, and ideally should be hung and showcased with pride. 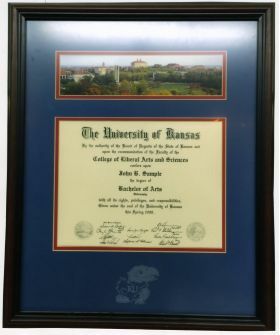 In order to do so, it is essential that you have the right frame to display your diploma, and just as importantly, have a trusty frame to keep it in pristine shape. 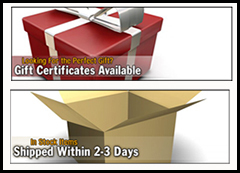 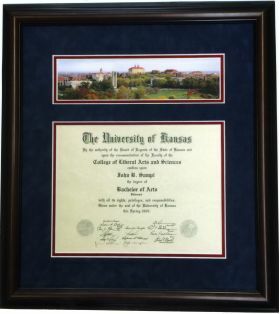 Framewoods Gallery offers a plethora of diploma frames for sale, including ones for your bachelor’s, masters or doctorate degree. 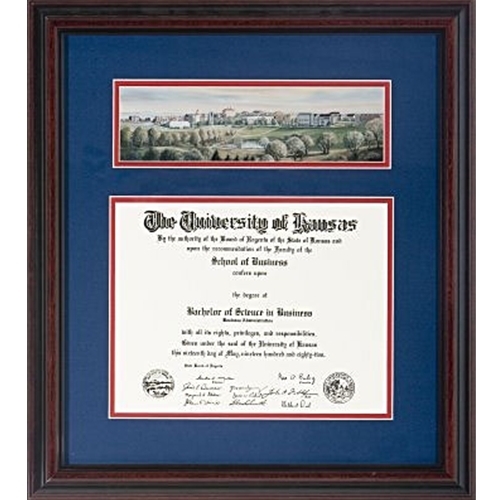 These frames are a perfect addition to adorn the walls of any home or office. 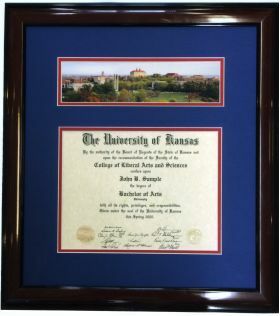 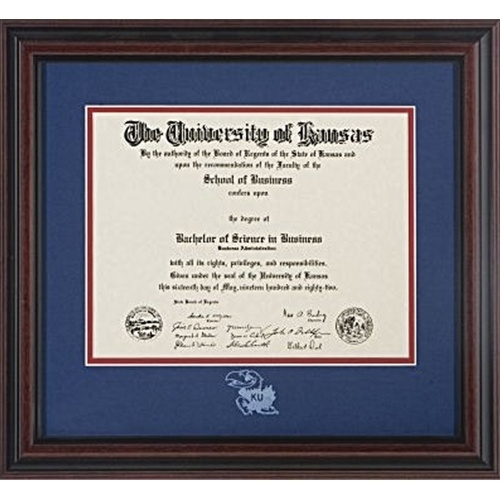 If you’re looking for a University of Kansas diploma frame in Lawrence, Kansas, then be sure to click on one of the products below or stop by our popular shop.